Change background for day and night (background itself can also be custom from user phone gallery, works only with square/1:1 aspect, and seems to have less lag with *.png format). Set the time of day and night based on the device time (hour based). Set minimum and maximum battery percentage to display certain motion representing battery status. I've tried with my limited knowledge to suppress the memory usage(leaks?? ), still work in progress. since it is not yet on google playstore, to install, on your security settings-security, check allow/enable unknown sources. The wallpaper setting can be applied/accessed through the wallpaper picker selection. Cool project! Thanks for posting it! Hello everyone! 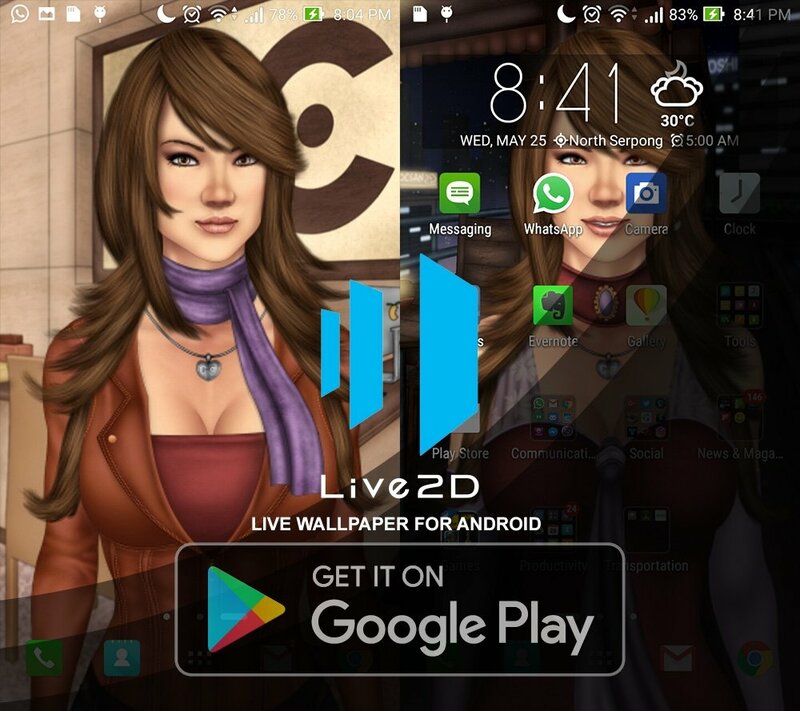 published my 1st live2D wallpaper!! Good!! congratulations release of the app ! It was good like also to solve various problems . Thank you @naotaro for inspiring me ! pardon me as I use live2D logo because I like this software very much!!! Thanks for showing us the new version! (I allowed myself to remove the dead link from your previous post ). Thank you very much @andi.g[email protected] !!! 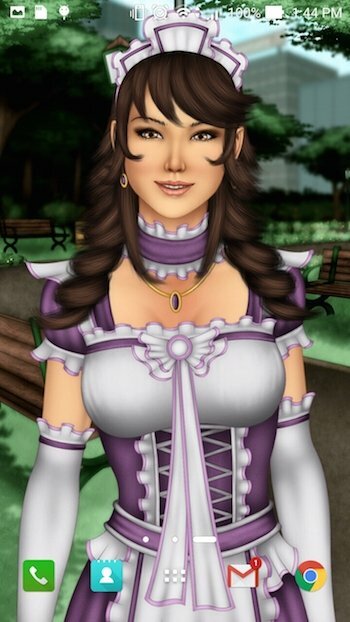 New update for v.1.1.1 live wallpaper, added 1 new character "Sara" powered by live2D!!! click image for larger version on my deviantart page. wooow those look great! good job! Wow, do you ever sleep!? They look amaaaaaaazing, @Ronggowisnu ! The maids are my favorite hehehe.